Peace Lily is out now! 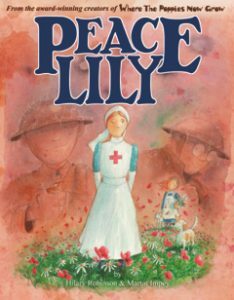 Peace Lily, the fourth and final book in the World War 1 series for children, honours the contribution and dedication of women to the war effort. Written in rhyme and beautifully illustrated by Martin Impey it tells how, after a long and painful battle, peace is found not only within borders but in hearts too.